Just returned from an amazing two weeks in Pembrokeshire﻿, staying in a yurt in a small campsite close to a fishing cove. It was definitly back to nature...ie no phones...internet....etc....perfect! I highly recommend chocolate flake stuffed bananas cooked in the fire embers of an open fire. The stars are incredibly bright in this part of Wales, especially on moonless nights. One of the few places in the UK you can actually see by starlight. A few badgers whiffled through the ferns each night beside the yurt. Maybe they were after the bananas too. 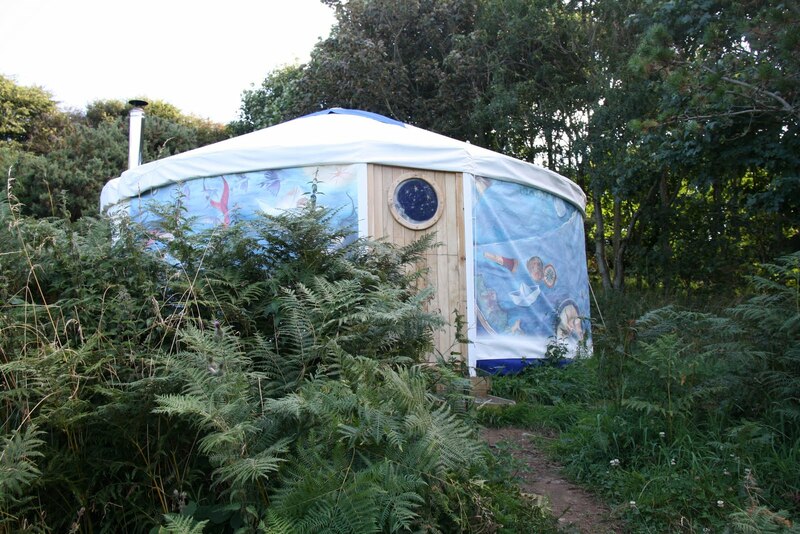 The canvas of the yurt had been printed with beautiful dream-like illustrations by Pembrokeshire illustrator and author, Jackie Morris. I was lucky enough to be able to hear her talk about her life and the inspiration behind her books in Words and Music at the Fishguard theatre. Above...the yurt. The yurt was like the tardis...much bigger on the inside...and it even had a wood burner for the cold nights. 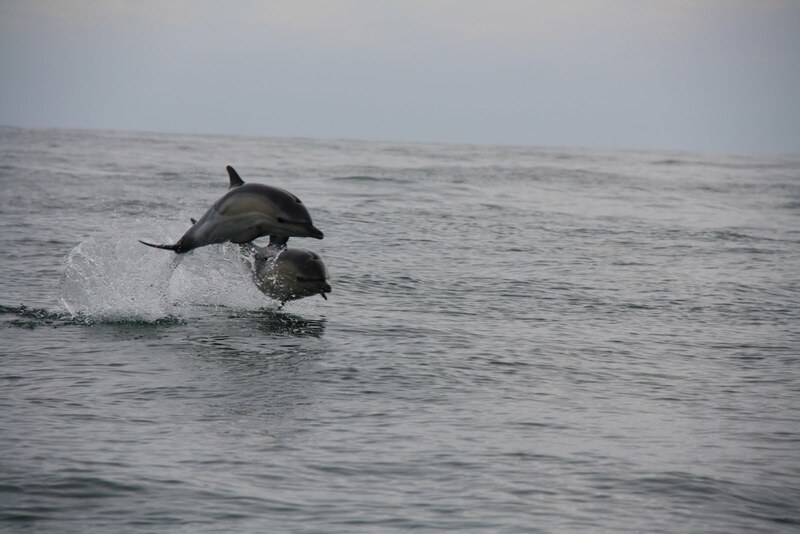 The coast abounds with wildlife too. 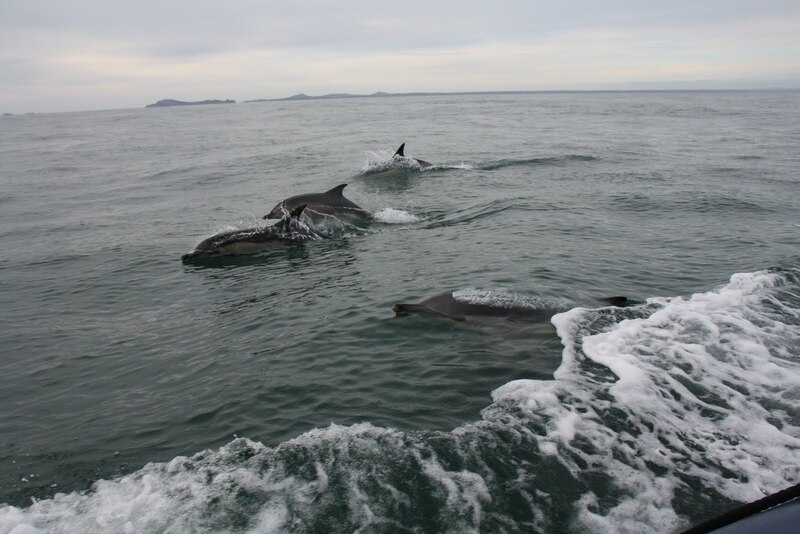 A huge pod of about sixty common dolphin was fishing in the currents out beyond Skomer Island. The dolphins joined our boat, leaping in and out of our bow waves for several minutes, just for the fun of it, it seemed. 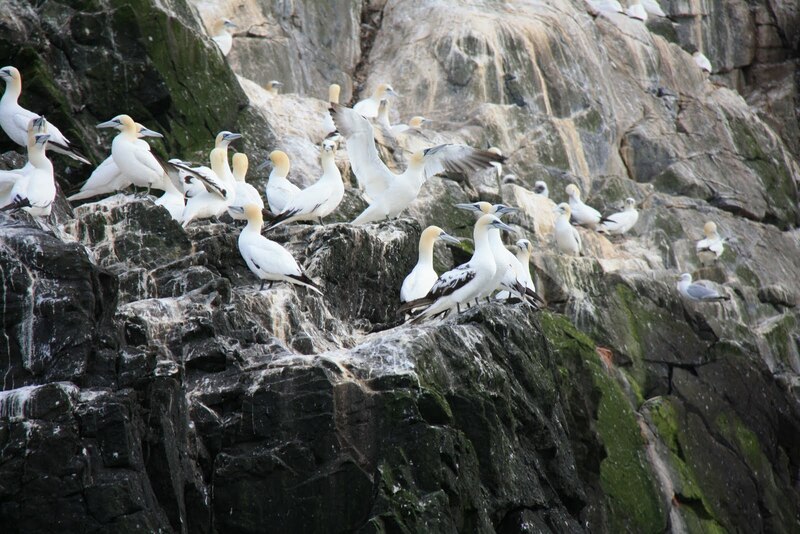 Then on to Grassholm, the second largest gannet colony in the UK. The air was filled with gannets...and the stench of gannet poo too. Ugh! 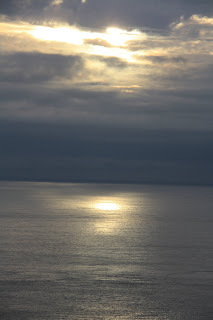 The smell carries at least half a mile out across the water. I don't know why the island is called Grassholm, because one thing's certain...there's no grass visible there at breeding time. 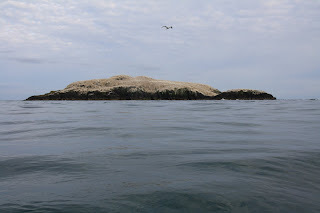 The island looks snow covered on account of the sheer number of gannets and gannet poo that has stained the rocks white over the years. ﻿The bird sound from the island is deafening too...lots of gannets calling to each other and their young. It's amazing how birds can find each other and recognise their calls above all that noise. 'Snow covered'...I could hear the gannets on the island from here. Gannets on Grassholm. The breeding season is nearly over. Most of the young birds have their adult feathers and can fly. 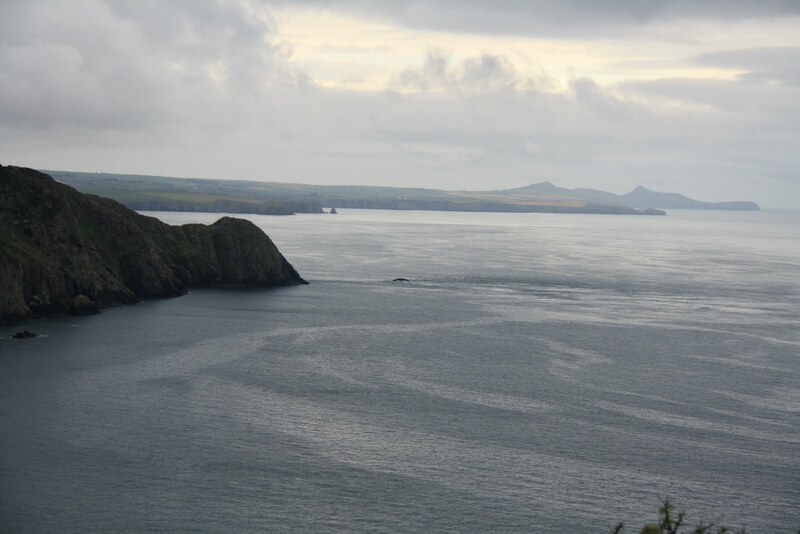 It was an incredible sight to see such a huge colony of seabirds only eight miles off the Welsh coast. Perfectly adapted for living at sea. Long narrow wings, legs set far back for efficient swimming. Hopeless on land. Very ungainly and because of this, easy prey for birds such as Black Backed gulls. Hence Manx Shearwater only return to land to breed and when they do so, they nest in burrows and only come to, or leave the island under the cover of darkess. 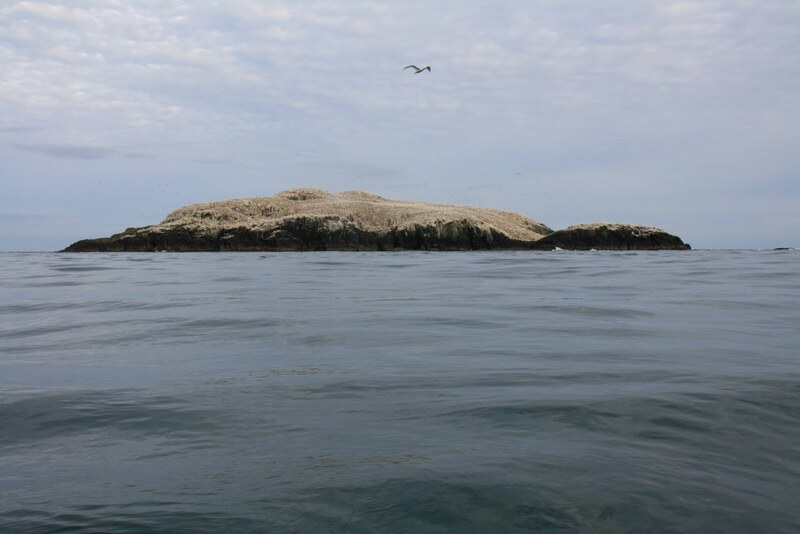 The young chicks leave the burrows in late August and immediately fly for their winter quarters off southern Brazil and Argentina. AMAZING FACT; some ringed Shearwater have flown the 7000 mile journey in less than a fortnight.